Just showing up and lifting isn't going to maximize your muscle and strength gains. Here's how to implement the most critical principle of bodybuilding: progressive overload. If just showing up at the gym is half the battle in your efforts to get in shape, then the other half is understanding the most important principle in building size and strength: progressive overload. Unless you understand and incorporate this key concept into your training, simply showing up won&apos;t go far in helping you achieve your training and physique goals. The story of Greek athlete Milo of Croton—a wrestler of renown in the 6th century B.C. —best explains the concept. According to legend, Milo trained by carrying a calf on his shoulders every day from its birth until it became a full-sized ox. As the load imposed by the calf gradually increased, so did Milo&apos;s strength, and therein lies the key. His body adapted over time. When you overload your muscles via resistance training, you trigger the body&apos;s natural adaptive response to the demands placed on it (given good nutrition and rest) by growing bigger and stronger. Overload simply means you make your muscles work beyond the capacity to which they are accustomed. You need to continually increase the overload over time if you expect them to continue growing in size and strength. Otherwise, your body and gains will stagnate. "The body will only change according to the level at which it&apos;s stressed," says Jimmy Peña, CSCS, exercise physiologist and bestselling author. "The progressive part kicks in when, over time, [muscles] grow stronger and you need to keep upping the ante, so to speak, continually increasing the weight or number of reps. Progressive overload, then, is the practice of continually increasing the intensity (amount of weight) or reps of your workout as you become stronger over time." The concept behind progressive overload applies to every goal you may have in the gym, whether it&apos;s building muscle size, strength, endurance, or even cardiovascular fitness. Moreover, with resistance training you can build more than muscle size; you can also strengthen your bones, ligaments, tendons, and cartilage. "Progressive overload is a key component to my resistance and cardio training," says Brendy Scheerer, a Miami-based fitness model and bikini competitor, who also works for BPI Sports. "If you don&apos;t change your routines and push yourself past your previous limits, then your body won&apos;t change either. I&apos;m constantly using this concept in all aspects of my training ... from weights to cardio. I&apos;m always trying to exceed my previous max." Clearly, if you&apos;re spending time in the gym you don&apos;t want to waste your effort, but all too often trainees make the critical mistake of doing the same exercises with the same weight for the same number of repetitions—and never see any changes in strength or their physique. Now that you understand the concept of progressive overload, the reason these individuals fail to progress becomes clear. So what are the most effective ways to implement progressive overload? Increase the weight you use on a given exercise, and continually strive to add more weight over time as you grow stronger. As an example, if your goal is to build muscle and you&apos;re able to complete more than 10 reps on the bench press with 225 pounds, it&apos;s time to add weight to the bar. Your next attempt may be with 235 pounds. Mind you, you may be able to do only 6-8 reps, but the increased weight requires an adaptive response above and beyond what was required to complete 225 pounds. As you again get stronger, you&apos;ll be able to increase the weight once again. How much weight should you add when increasing the resistance? A good rule is 5 percent on upper-body exercises and 10 percent on lower-body moves. 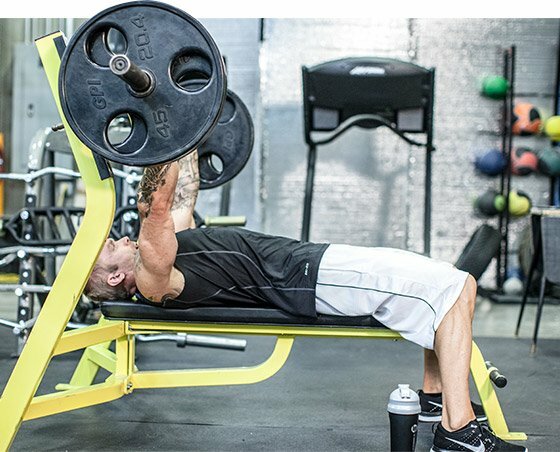 "If your goal is to build muscle and you&apos;re able to complete more than 10 reps on the bench press with 225 pounds, it&apos;s time to add weight to the bar." Getting bigger and stronger can be measured and achieved in more ways than just the amount of weight you can lift. In the example cited above, you may have been able to complete just six reps on the bench press with 235 pounds, but as you grow stronger, you&apos;ll eventually be able to do seven, then eight, then nine, and finally 10 reps. Performing more reps with a given weight is also an example of progressive overload in action. Just make sure you don&apos;t stop at an arbitrary predetermined rep target; do as many as you can without sacrificing good form. One important distinction: As you get stronger, if your focus is on building muscle size, rather than increase the number of reps, opt for adding more weight if you can do more than 12. That is, once you can do 12 reps, instead of trying to do 13 or 14 on future sets, add weight. Once a load becomes relatively light and you can do a higher number of reps, it starts to build muscle endurance over muscle size or strength. Adding weight or doing more repetitions with a given weight are the two most common measures of progressive overload in action, but a third is to do the same number of reps with the same weight following a shorter rest interval between sets. Improving the efficiency by which you recover between sets forces your body to adapt metabolically, allowing you to do the same amount of work in less time. "I always want to see improvement but you have to be realistic," adds Scheerer. "You can&apos;t go up in weight every workout. But if I can do one extra rep or decrease my rest time and still hit my goal, then that&apos;s an incremental improvement." You can increase volume by adding reps to your sets, but you can also do it by simply adding more sets, which has been shown to elicit greater growth. One advantage here is that adding sets allows you to work a target body part from multiple angles. Unless you&apos;re a magician, you&apos;re not likely to train chest on an incline, in a flat plane, and on a decline in one set, but it&apos;s easily done with multiple sets. Do more sets, working a target muscle from more angles as you go, and you have a great recipe for greater gains in size and strength. Adding sets only works up to point—after which it can become too much of a good thing, leading to overtraining. Avoid this dreaded fate by increasing volume slowly rather than trying to add too much too fast. If you work a given muscle group every 5-6 days, you might find that training it more frequently—say every fourth day—can be a trigger for strength and size gains. I gave you some dos, now here a few don&apos;ts! If the idea of systematically increasing your strength or muscle size sounds appealing—and we&apos;re betting that it does—here are four additional points to consider. Remembering your weights, sets, and reps from one workout to the next is difficult, especially if you&apos;re trying to ensure proper and effective overload. So keep a journal that carefully logs your workouts. 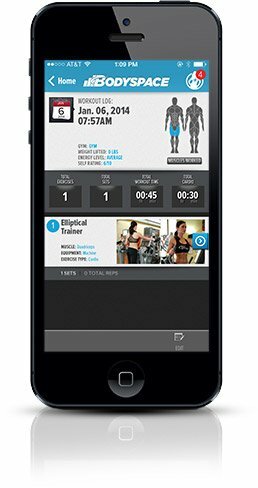 Better yet, track your workouts through BodySpace. You&apos;ll then know exactly what you need to do to surpass your previous targets. "I try to log my workouts but don&apos;t always have time to; however, at least once a week I write down any improvements that I saw from the previous week," says Scheerer, who has been competing for five years. "BodySpace is a great way to keep track and be able to include progress pictures." We provided a number of means to progressively increase the overload, but you should attempt only 1-2 factors at a given time. Increasing them all at the same time can lead to overtraining or injury. What&apos;s more, it&apos;ll make it difficult to measure which factors are most effective and which are not. Everyone&apos;s muscle fibers are different, and certain techniques will prove more beneficial and helpful than others. Many beginners experience fairly dramatic strength gains in the first few months of training. They have neuromuscular adaptation to thank as much as anything, but gains from this source will slow as you progress. Some weeks you may find it easy to do a couple more reps, while at other times you might struggle to do just the same number. For advanced lifters, making even small gains can be agonizingly difficult. Here, a systematic approach in which you plan a specific strategy, as top Olympic lifters and powerlifters follow, will be the best way to continue making progress. "For advanced lifters, making even small gains can be agonizingly difficult." Finally, remember that it&apos;s easy to generate body English and use sloppy form in the name of increasing the weight on the bar or intensity in one form or another. For example, bouncing the bar off your chest may look like you&apos;re getting stronger, but cheating actually takes stress off the working muscles and increases your risk of injury. It only counts if you use good form. BodySpace is home to an incredible array of athletes, fitness models, and ripped weekend warriors. 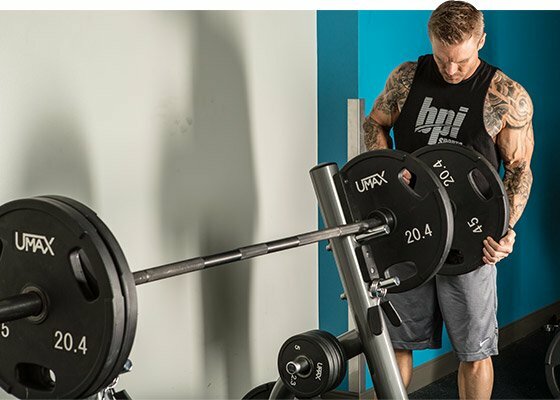 Here are 8 workouts from some of BodySpace&apos;s most popular users! Working hard at the gym doesn&apos;t mean you have to deprive yourself of things like muffins, crepes, or even frosting! Make these high-protein recipes work hard for your muscles. Building a bigger chest doesn&apos;t have to feel like brain surgery. Get back to the basics with hard work and these 5 proven exercises!